A colored universal indicator MACD Line (MA convergence-divergence indicator, shown as a histogram). 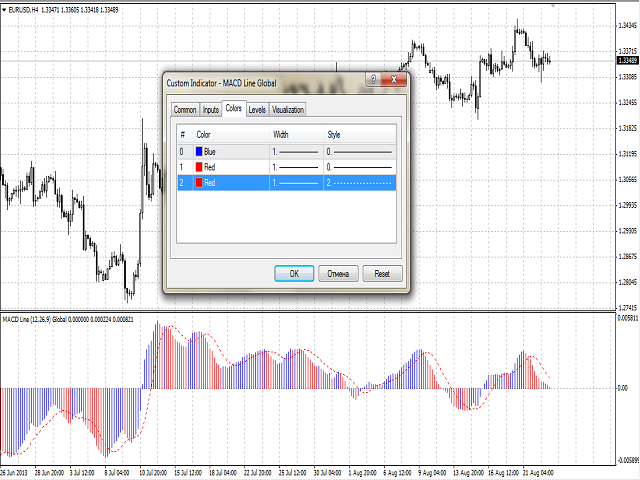 The rising and falling of the indicator histogram can be colored. The main line of the indicator - buffer 4. The signal line of the indicator - buffer 2. 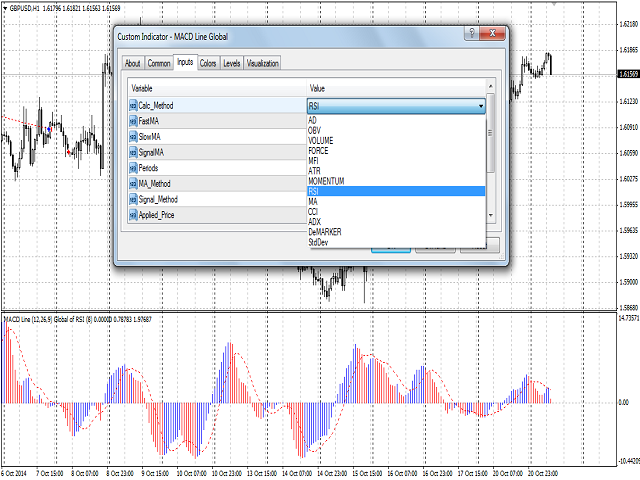 Calc_Method - the index of the indicator, based on which the MACD will be calculated (from 0 to 12). By default, i.e. more than 12 - the standard one based on prices. 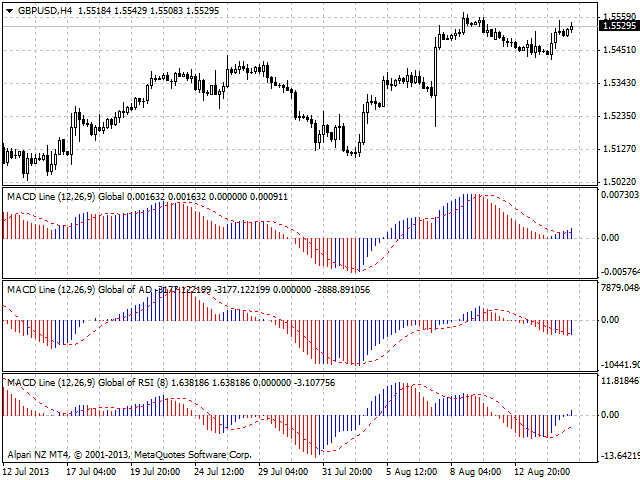 Periods - the period for calculating the basic indicator, based on which MACD will be calculated. User's interface hs been improved.